150 signed/numbered limited edition mini-hardcovers. 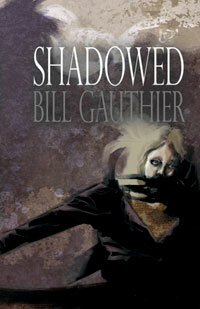 From the corner of her eye, she sees him: A shadow-man frenetically moving, reaching out for her, yearning. Fear grips Gina Copeland. Her life has been turned upside down by her parents’ recent divorce and a move from her childhood home. Her friends have grown more distant as new friends and interests have come into their lives. The Shadow-Man can’t be real. Can he? She feels his yearning. His touch mesmerizes. Gina’s loneliness evaporates as she falls into an ethereal seduction that she knows is wrong yet cannot resist. But what’s the worst that can happen? She’s about to find out as she struggles to stop everything she loves from slipping away–or rather, as she struggles to stop herself from slipping away, slipping into the shadows. Well, the song seemed to capture what I wanted to do and I stole the line “Voices trapped in yearning” and changed the Voices to Shadows. The short story lingered for years and was one that James Beach wanted to include in my collection Catalysts. By that point (in 2005), I knew I wanted to expand the story into a novella. It took nearly five years–and a very tight surprise deadline–to do it, but here it is. The list has a lot of Sarah McLachlan in it because the feel of her songs–as well as the lyrics–captured the feel I wanted for Shadowed. I’m not sure that I got it right. The songs I tended to lean toward were songs written and performed by women that had to do with loneliness, making mistakes, and outright anger and rage. I’m sure my list could’ve been 100 times larger (at one point, I had well over 100 songs in the iTunes playlist) but these were the ones that seemed to work best.